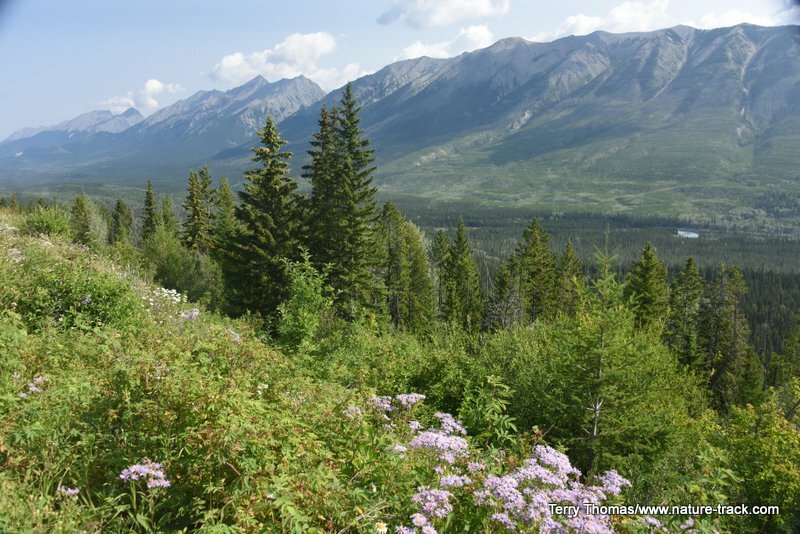 Kootenay and Yoho National Parks share common boundaries with Banff National Park in British Columbia, Canada, but they are far less known. While there are still impossibly tall and rugged landscapes with turquoise green lakes at their feet, Yosemite-like waterfalls and quaint towns, there are not, for the most part, the crowds of Banff. Neither of these parks is as large as Banff either. 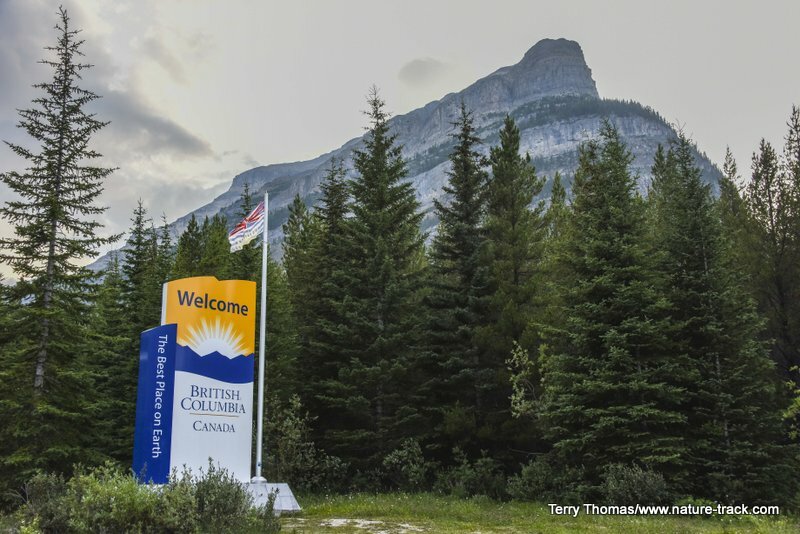 You can enter Kootenay from Radium Hot Springs and drive the entire length in several hours, even towing a trailer. 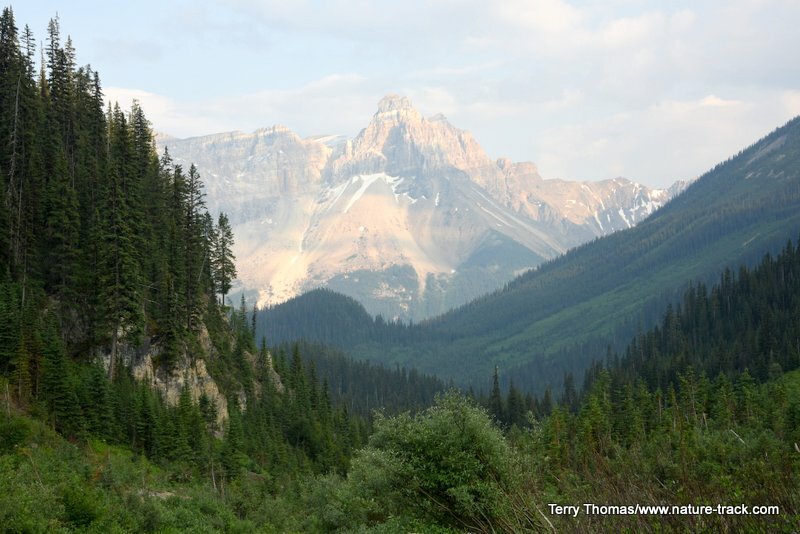 We actually camped at Kootenay for our first two nights, even though we spent most of our time in Banff. 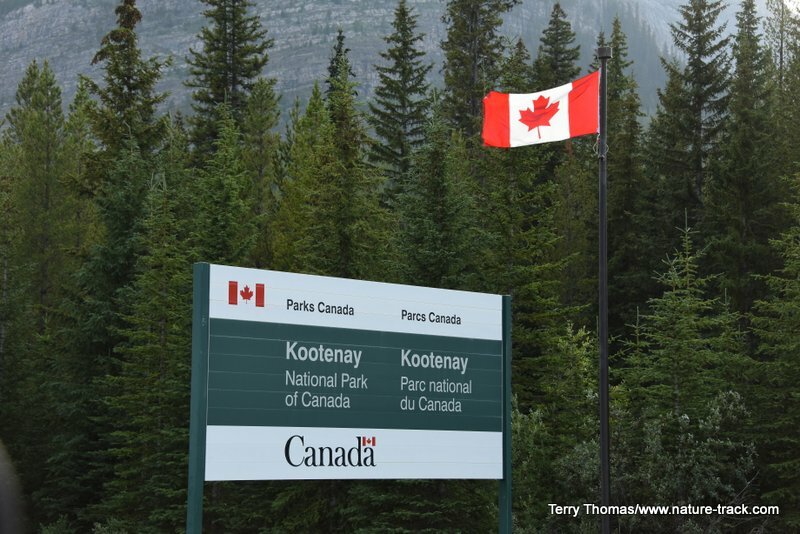 Unfortunately, we didn’t know much about Kootenay NP and didn’t budget to spend much time there. We did explore Marble Canyon, a slot canyon that is not to be missed, but did not get off the main road more than that. Marble Canyon is an awesome slot canyon, sometimes over 100 feet deep. 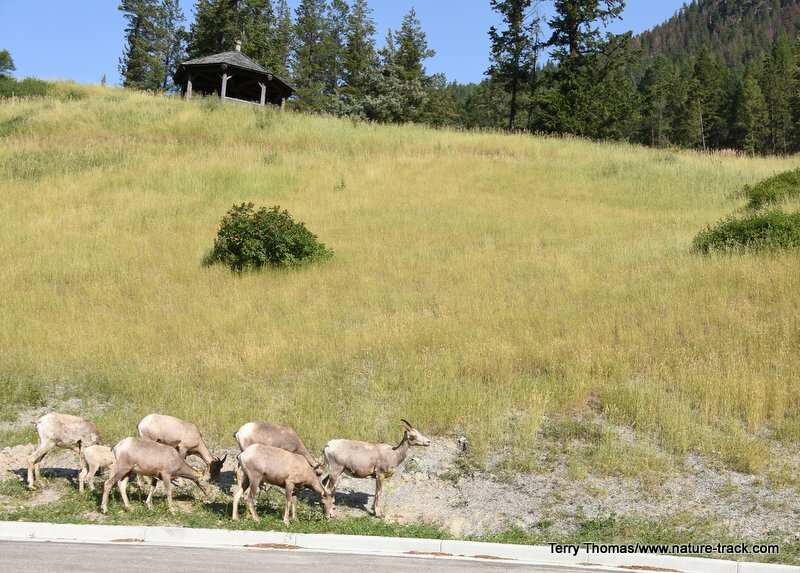 We did not see much for wildlife except at the very beginning where we saw a small band of bighorn sheep just inside the park boundary. However, it was kind of humorous to see all the wildlife crossing signs. In Kootenay we saw road crossing signs for elk, deer, bighorn sheep, mountain goat and moose. There were no bear crossing signs but we saw those later near Prince George. 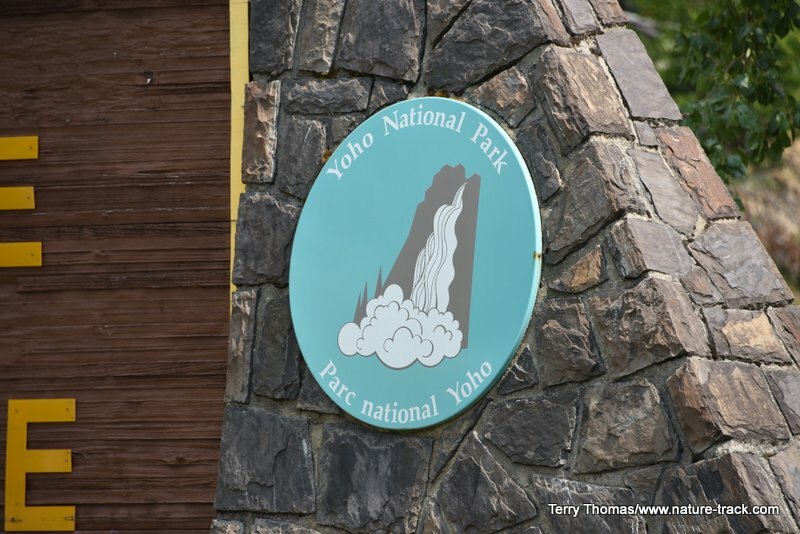 We spent an afternoon exploring Yoho National Park and again, found it just as spectacular as Banf but without the crowds. 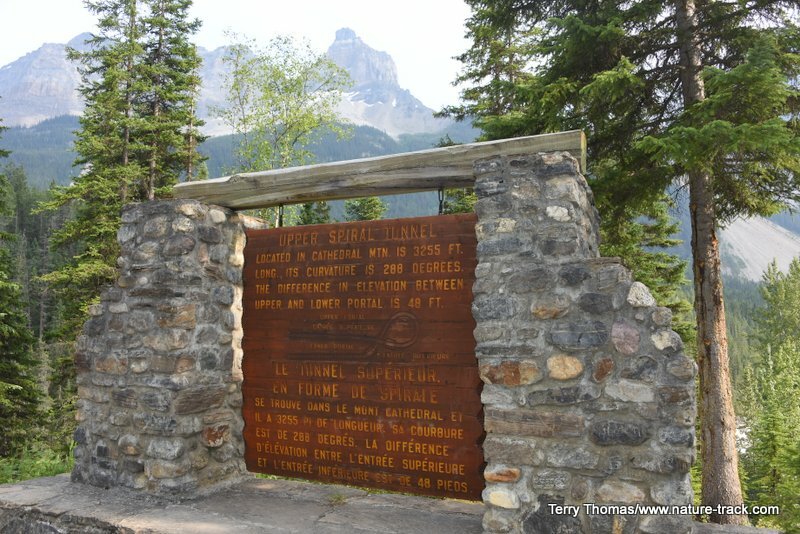 We started by continuing on the Trans-Canada Highway north of Lake Louise. This took us to the town of Field where we bought some fuel and went to the visitor center. Then we drove down the highway to the end of the park, just to see it. 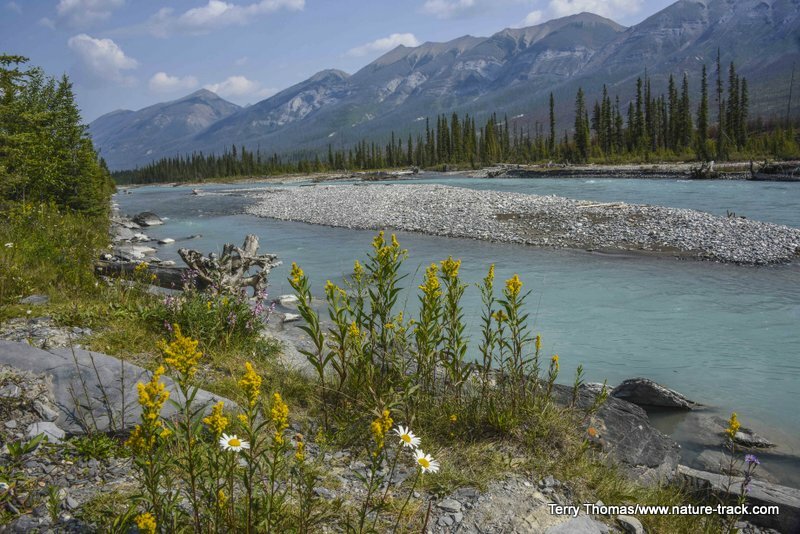 You follow the Kicking Horse River all the way through the park. 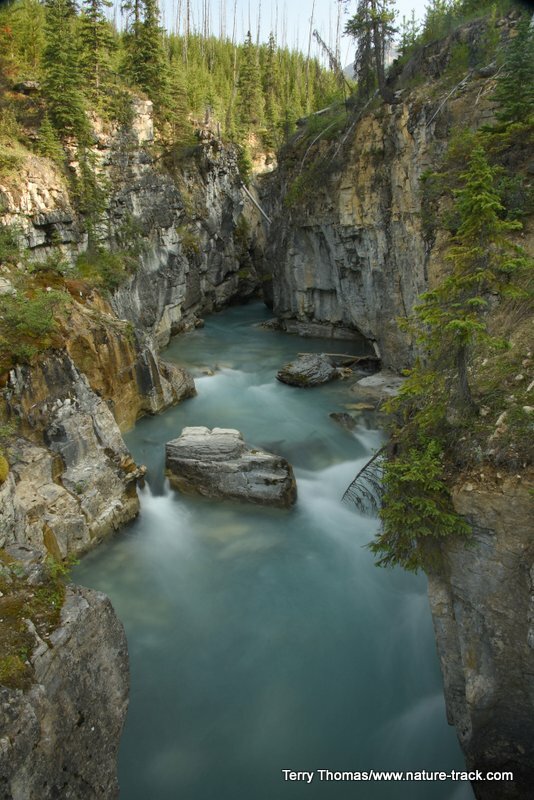 This is another glacial river and it is quite pretty despite the unusual name which it got because a horse nearly killed an early explorer with a kick to the chest. The village of Field, BC, on the Kicking Horse River. 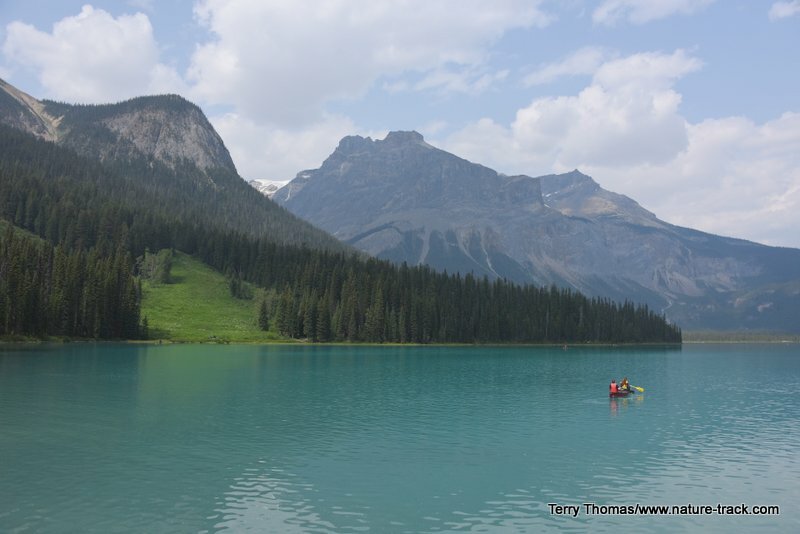 We went into Emerald Lake and, as usual, found the parking lot full. We double-parked and Cathy waited in the truck while I ran and grabbed a couple of images. Although really not emerald green, more turquoise, this is definitely a pretty lake and clearly a favorite destination in the park. 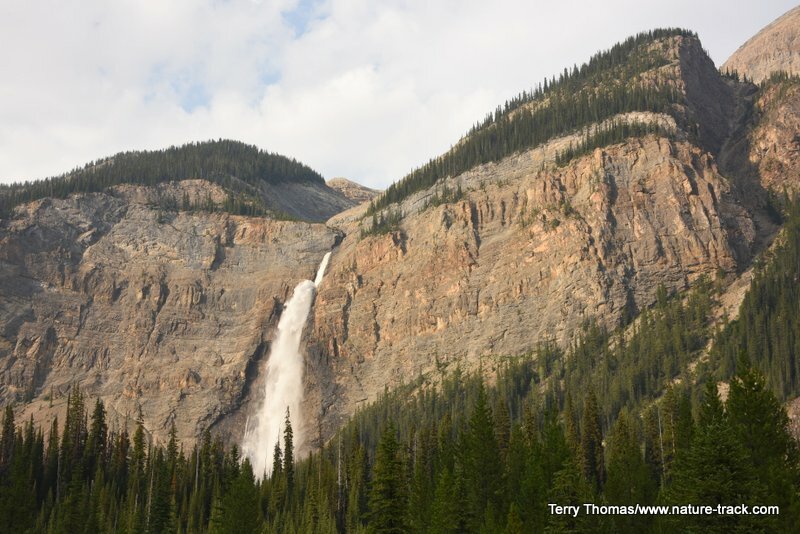 We headed back to Lake Louise, but after our tram ride was cancelled, we went back to Yoho and drove up he Yoho Valley road to a waterfall named Kakakkaw. It is very Yosemite-esque with a thundering vertical fall off a cliff. On the way out, we stopped to watch a train pass through one of two circular tunnels above Field where the train loops back on itself to gain elevation. These trains are some of the longest I have ever seen. A single train entered the tunnel, exited, and the engine was well past us on a second turn before we saw the caboose approach the tunnel. These trains have to be several miles long. This sign describes the strain tunnel system. The scenery was, of course, stunning. Glaciers, mountain peaks above with green forests below, narrow canyons with waterfalls cascading down—it was everything Banff was but again, with fewer people. 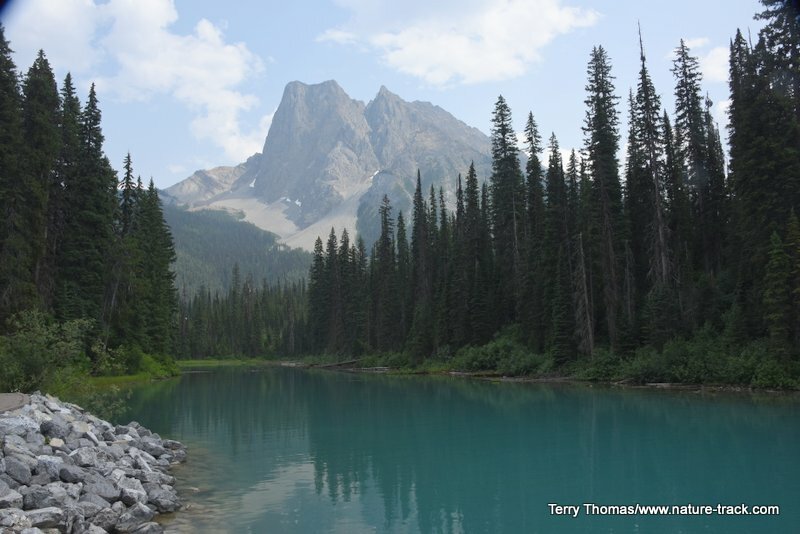 It wasn’t like Yoho or Kootenay are undiscovered. There were certainly people there but except for Emerald Lake, you could still breathe. 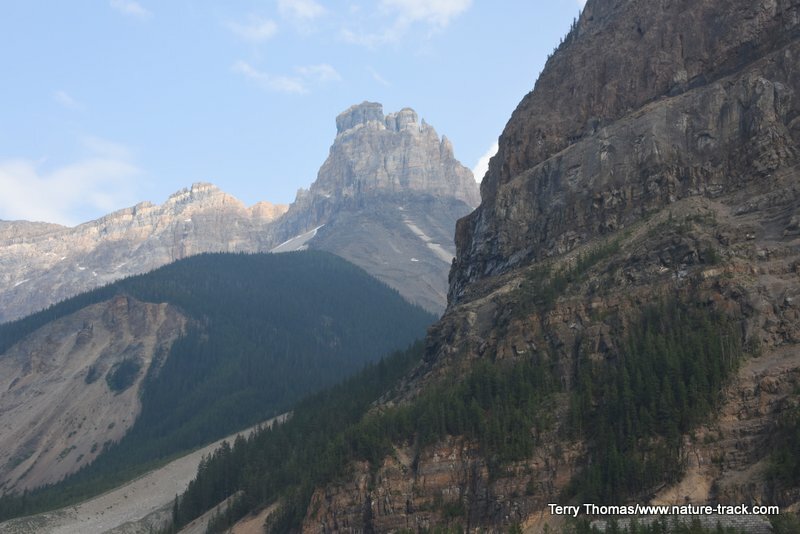 Looking downriver in the Yoho Valley. Hard to imagine that trains can traverse this country. 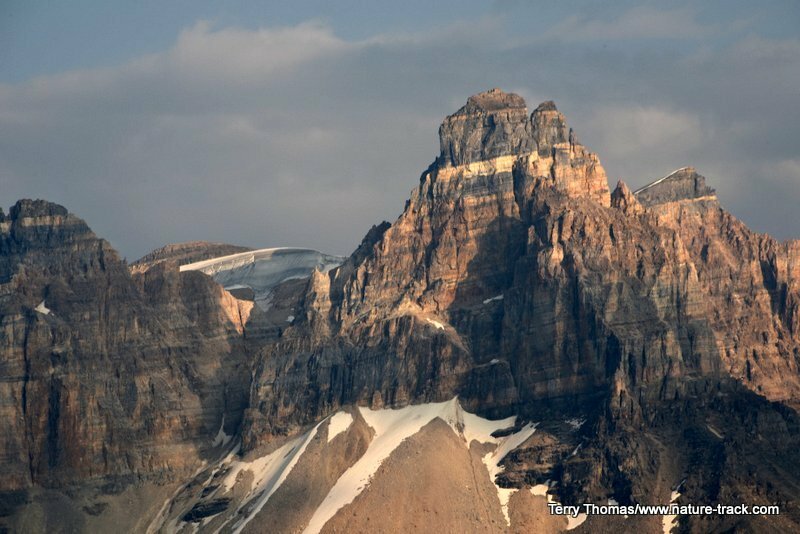 When you head to the Canadian Rockies, make sure these two parks are on your schedule. Get an early start on your day and see as much as you can. 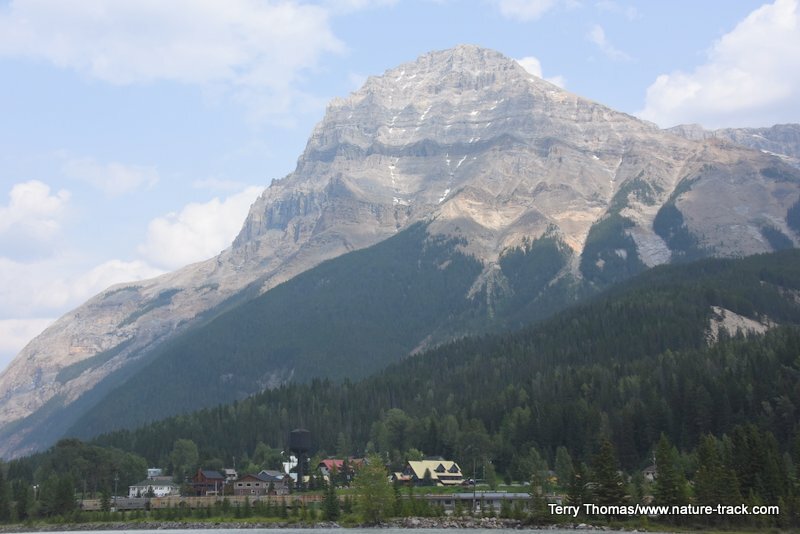 If you visit them after you go to Banff, you will appreciate the relative calm.